For young girls who lose their innocence in violation, this book is designed to encourage victims to speak up. 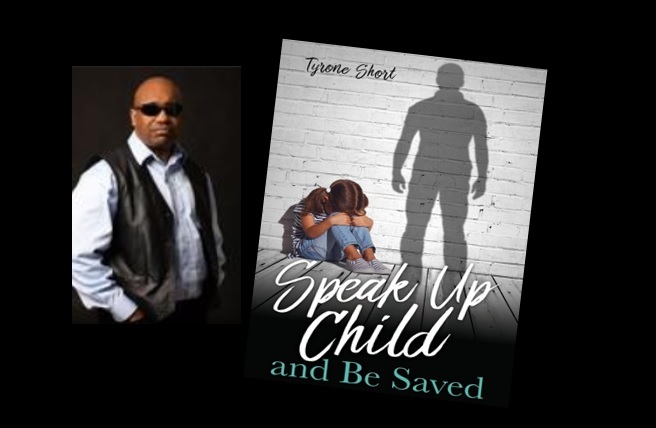 Within the pages of Tyrone Short’s book, Speak Up Child and Be Saved, readers will find a book depicting what it means when a young girl loses her innocence, which is very precious, and when it’s taken against her will, more than just her innocence can be lost. Innocence lost without justice gained is a double jeopardy leading to further loss. “Many people in society have been a victim to this crime. Many of them are living in silence and want to speak up. I believe that this book can provide them the motivation and courage to speak up,” says Short. Today’s society is filled with these unheard victims. The ‘Me Too Movement’ continues to expose many for their inappropriate behavior, but these victims may feel what happened to them goes a lot deeper. This book is designed to reach them. After wandering through the desert for over thirty-five years, Tyrone Short now serves as a witness to the amazing grace of the Creator of the heavens and the earth. Tyrone Short serves the body of Christ as a writer and Christian Reggae rapper (Prince Trog). He has written many books, including: Embrace Her Christian Soul (lulu Press), Is The Pope Kidding Me? A Breakdown of Catholic Apologetics (lulu Press), A Christian’s Look at Daytime Soap Operas (lulu Press), and more.